Facebook is estimated to have more than 2 Billion users for this year 2014 from sources that can be found on Google, this is not impossible. With my calculation, 95% of businesses all over the world use Facebook to promote their businesses online. On this article I will be discussing to you my Tips to increase your blog traffic using Facebook, specially via Facebook fan pages and Facebook groups. I know most of online marketers know a lot of tricks on how to gain popularity using Facebook and this huge social network will surely drive thousands of visitors on your blog. I used Facebook since I started creating blogs and I continue using this platform until now. Dealing with facebook issues is a good thing to know. And if you know how to make use of facebook buttons, not just the visible ones, but those that can be used for setting purposes is a good way for you to manipulate your facebook account in such a way that it could be beneficial to your blog. You need traffic for your site and this is the reason why you should make use of facebook fanpage and group because this is where people connect with each other. Imagine the potential. For the month of December 2013 my blog got its biggest traffic source from Facebook, I will show you the secret on how I gained this huge Facebook traffic on my blog. 1. 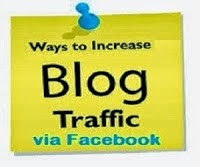 Create and Complete your Facebook account to be used on generating Facebook traffic on your blog. Consider your goals for creating good Facebook profile. If you want to use it as a tool to drive lots of traffic to your blog you need to make sure that your profile includes the information to support your blog contents or blog niches. You must carefully add decent and encouraging types of photos, videos, and personal interests to your Facebook profile. 2. Next thing to do is to make a lot of Facebook friends that are relatively active and related to your blog niches (max of 5k friends per facebook users only). Adding persons you know personally will increase Facebook engagement on your Facebook post related to your blog. Do not add or removed those Facebook friends you have that are against or do not like your way you use your Facebook, sometimes negative comments on your Facebook post drives more traffic and may gain interest by others to read about what you and your Facebook friends are talking about, but this may result with conflicts and discouragement on you side. so avoid them or block them, okay.. Build your facebook community as friendly as possible. 3. 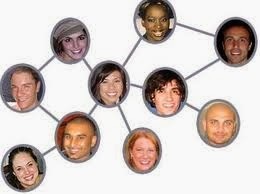 Create your Own Facebook Group and Join other Facebook Group related to your blog niche. Take note that you can create a facebook group for any topic or any reason on Facebook for free, then invite people to join it. Search for groups related to your blog's topic, and then join those groups and get active in the conversations in those groups to build trust and interest on your Facebook profile. If you can find groups that have thousand, hundred thousands or million of members that is best ground to gain lot of traffic on your blog. I have list of Facebook groups that have 100k+, 200k+, 300k+ or 1M+ where you can join and share your blog post. You can access those list of Facebook group with lot of members. Make sure not to Spam those groups with many links because you site link will be blocked by facebook and make it a spam link wherein your will loose your blog traffic from facebook forever, so it is advisable to use shortening links on sharing your blog link on facebook to avoid being mark as spam by facebook. 4. 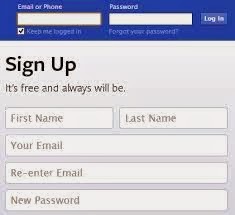 Create a Facebook Page and Become a Fan of other Facebook Pages. If you are not familiar with facebook fanpage you must read more about it because Facebook page is another great way to get huge blog traffic. You can become a fan of existing Facebook pages but make sure to search for those related to your blog niche or topic and then join the conversations on that fanpages using your fanpage as a commentator on specific fanpages because this will surely invites liker and visitors of your fanpages thus increasing your blog traffic. Facebook pages can only be created by official representatives for a company, brand or celebrity and even for blog or website owners. Go ahead and create a Facebook page for your blog and it is recommended to create fanpage username using your blog domain like what I did on my blog fanpage fb.com/theblogservices.net. Then be sure to feed your blog's content into your Facebook page status updates and continually add interesting information to it to keep the conversations going. As facebook news feed updated last Dec 2013, avoid posting links on your main facebook wall because this will not be seen by your fanpage liker, post only words content of post then just post the link on the comment of that post for it to shown on your facebook fans news feed. 5. Invite Friends to like your Fanpage and Encourage them to Join your Facebook Group. After you have created a fan page, invite all of your facebook friends to like your page and encourage them to invite their friends to like it too. It is the main thing of Facebook traffic. If someone likes your page, he or she will get a feed when you share your posts in your fanpage (avoid posting link on your fanpage update, just add the link on comment). And when he or she will like your post, his or her friends will also get a notified about the link she/he like or commented with. So, there is high chance that his or her friends will also like your posts and your fan page. So, try to get Likes for your page as much as possible, you can starts it with this blog fanpage here. You can send your friends messages or ask them to share it with their friends too. But, don’t be crazy to do it, Otherwise it will be detected as spamming and you cannot share your fanpage links anymore on facebook message or even on your facebook wall. Go and apply it.Thanks for leaving a comment.. Your Welcome. I'm glad it helps you.. Happy Blogging!